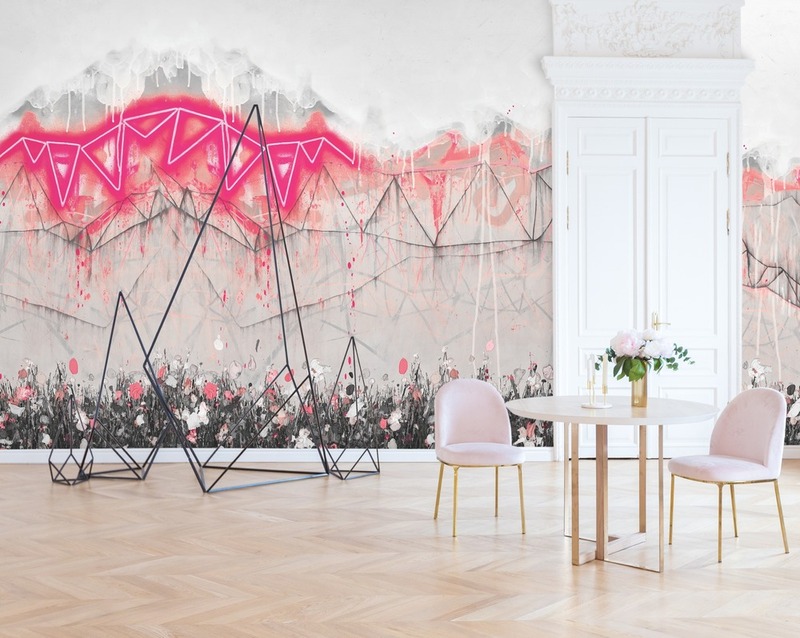 Design collective FEATHR is on a mission to fill the world with more art and less decoration. 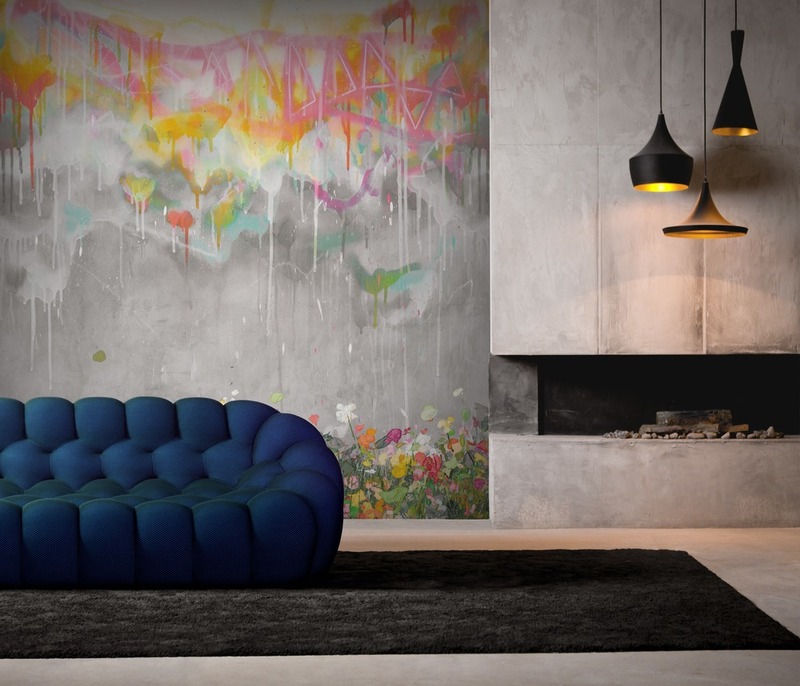 FEATHR roams the world collaborating with contemporary artists to create original wallpaper and fabrics. 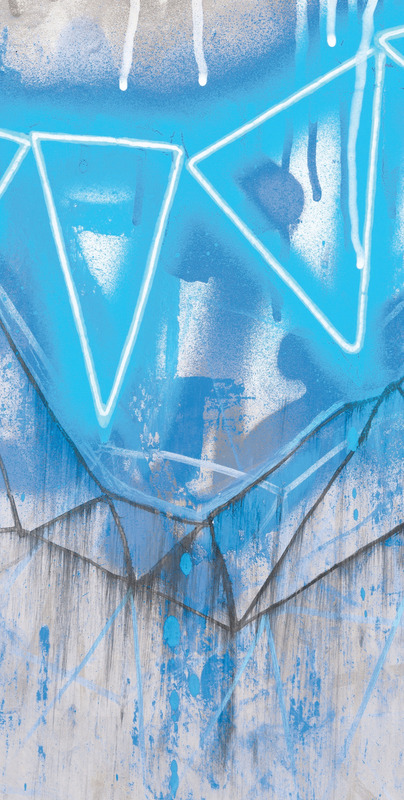 Their latest collaboration is with British graffiti and mixed media artist Lee Herring. Lee’s contemporary landscape paintings are rich in physicality, texture and colour: spray paints, markers and acrylic paints are manipulated with palette knives, trowels and scrapers to create bold and spontaneous works. 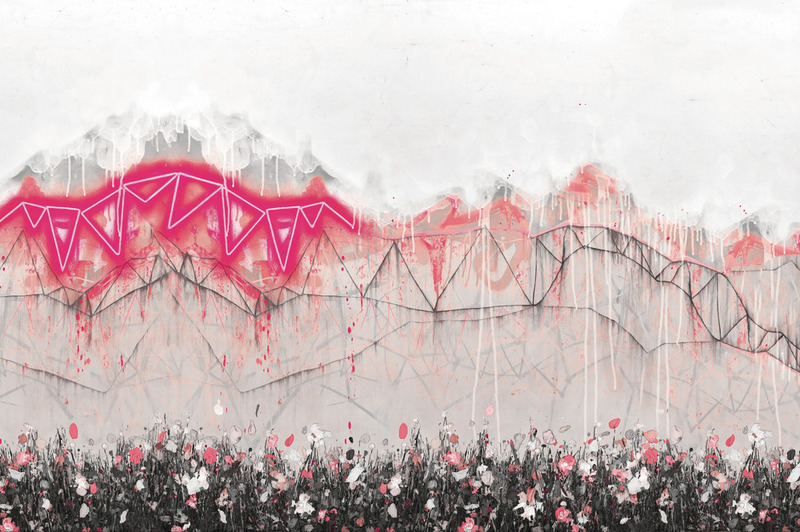 “Glowing Shards” features Lee’s trademark graffiti geometric cutting daringly across a field of wild flowers. Thick, impasto texture pops from the surface casting shadows and intrigue. 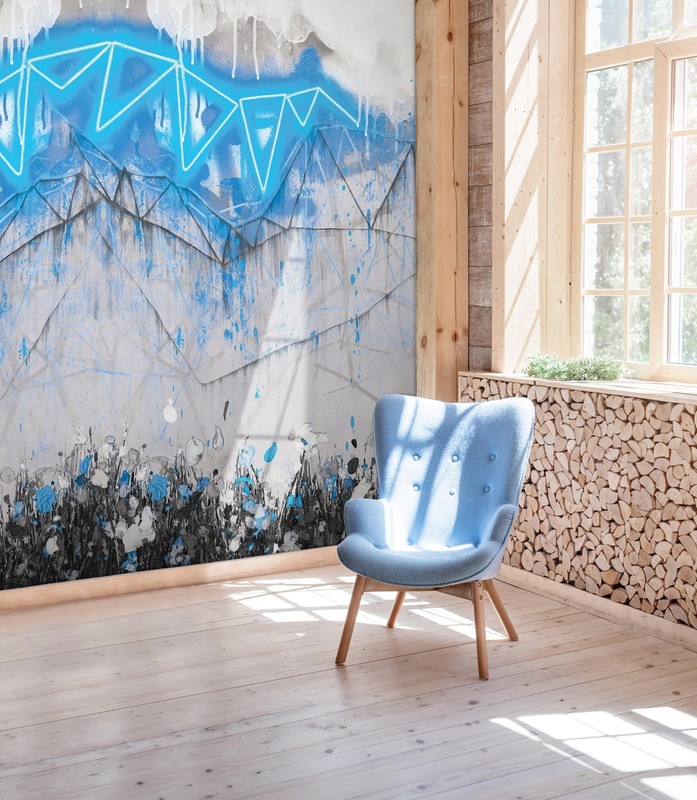 Glowing Shards is available as a wallpaper mural in both a rich Cobalt Blue and a soft Nordic Grey for walls up to 4.7 m wide by 3.2 m high. “Neon Bunting” is a playfully modern take on the British tradition of hanging bunting at summer parties. His use of spray paints is maximized here, with the neon graffiti bunting popping out from pastel backgrounds. Neon Bunting is available as a mural in both Electric Blue and Soho Pink for walls up to 4.7 m wide by 3.2 m high.